As the Councilman of National Affairs it is my duty to provide commentary on Stalin's work Marxism and the National Question, this is to be included in the Manifesto we are writing. I have made the study of Nationality my primary concern ever since I went Bundist, I think it was for this very reason that I was the one made the Councilman of National Affairs for the Bundist Movement. I was born on June 12, 1977 to Jewish anti-Zionist parents. My Mother was Ashkenazi and my Father was Mizrahi, I attended a Reform Synagogue throughout my childhood and I grew up with liberal political leanings, but I would later become a Bundist. 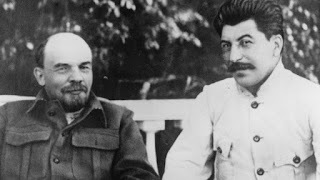 I want it understood that I'm a Bundist, I have always respected Vladimir Lenin and Joseph Stalin even in the days when i was mostly apolitical. However it was Lenin's rejection of Bundism that has kept me from ever studying Marxist-Leninist theory and practice. I know with great certainty that both Vladimir Lenin and Joseph Stalin were fundamentally incorrect on rejecting the Jewish Labour Bund. Now that being said, I'm sad that Marvin Eliyahu was able to write on this blog about being a Marxist-Leninist before I was granted the opportunity. This blog is Dona Newman's although she originally only let Net Ben-Yahushua write for this blog, she would later encourage the five of us Bund Council Staff members to write joint articles for the blog before she herself would. 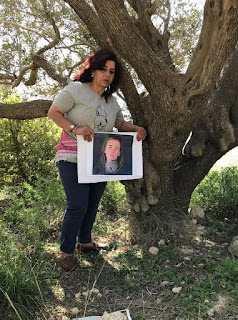 I was the first Bund Council Staff member asked to write an article independently for the blog, I was asked to write about Syria an issue I'm well versed in, this is before Dona Newman wrote for her own blog. I was convinced to become a Marxist-Leninist by Hannah Toff before she convinced Marvin Eliyahu to do this. Hannah gave me some literature to read with some commentary notes she wrote. After reading all that I decided that Marxist-Leninist theory was the best course of Socialist methodology to fill in the blank spots of Bundist theory. Me and Marvin are roommates, we are also best friends and Revolutionary Socialist Comrades. So you can imagine how angry he was with me when I informed him that I became Marxist-Leninist. It did not seem to matter to him that I again and again assured him that this increased my Bundism instead of making me want to reject Bundist thinking. "Hannah gave me ML literature along with a few notes she wrote for me and I have found no reason to disagree." "Get in my truck, we are going to Hannah's right now." Hannah missed work due to what came of us arriving at her door step that morning. They argued for fifteen hours. I know this, I was there. During this long argument I fell asleep a few times, I would be woken up to one or both of them yelling at their loudest, the sort of yelling that makes glass break. Sometimes it got very quite as she would pull out her books by Lenin and Stalin along with her own notes looking thicker and more detailed than the little notes she had custom written for me, she would read entire chapters, and have him read, the debating never seemed like it was going to end but slowly he found himself agreeing with her. I differ with Stalin on the National Question, and I disagree with both Lenin and Stalin in their objection to Federations, with the Soviet System you would think they would have known better. I reject the Nation-States, we must break them first, then we must go from Federation-States as a transitional process into Federations that are not States. Not everything that Joseph Stalin had written on the National Question was incorrect, the hilarious part about all of this is that he seems in large part to agree with Bundist theory, the radical departures that Stalin's outlook on Nationality takes indeed seems to almost suggest that these distinctions are only done as to not copy the Bundist theory on Nationality. Liberals misuse Identity politics, they exploit it and use it to further their own ends with no regard to how much damage this can cause to the struggle. Marxist-Leninists and Marxist-Leninist-Maoists today have turned against Identity politics, something in higher necessity than ever before, ironically it is Maoist tenancies based largely in Stalin's work that provided a theoretical platform for Identity politics. 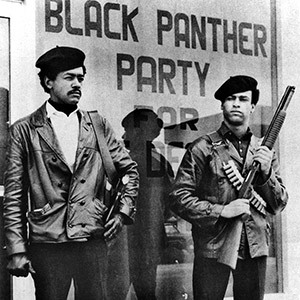 The Jewish Bundist Diaspora Movement sees the original Black Panther Party as a manifestation of Identity politics and National-Cultural Autonomy, to deny this would be a type of dogmatism. The new legislating of Pro-Israel Oath Laws is a Born Again Christian Evangelical problem and not a Jewish problem. We the Jewish Nation reject the Zionist-State and we reject Antisemitism of the Judeophobic nature and Antisemitism of the Islamophobic nature. We need National-Cultural Autonomy for the Jewish Nation and we must not start with the ballot box, we need to study the Black Panthers a very obvious manifestation of what abraham Weizfeld Ph.d coined in English as Auto-determination as well as National-Cultural Autonomy. We Jewish people here in Arizona suffer with hate crimes that never make it to Television and Jewish people are never allowed to speak for themselves on Television, Zionists on the other hand can say whatever they please on Television, in fact most of the Zionists allowed to speak on Television are not the Zionist heretics of Jewry but the Zionist heretics of the Church. We are being set up and anyone who disagrees with me on that lacks intelligence or is simply involved with the scapegoating of World Jewry. The Jewish Zionists are the proxies of the Christian Zionists, not the other way around. The American Israel Public Affairs Committee is a Born Again Christian Evangelical lobby not a Jewish one, but we by principle must get blamed, we need POWER, we need to take our right to Auto-determination without worrying about its legality; learn form the Black Panthers. The Jewish Bundist Diaspora Movement is the Vanguard of the Jewish Proletariat. This may seem like a strange statement, but I argued with Hannah Toff for fifteen hours, she is a very well educated young Woman. As a matter of fact, I am as of now even re-declaring myself a Marxist-Leninist. The number one reason why we Bundists are credible as Revolutionaries is that ever since Bundism came about it has been correct everywhere that Communist theory had been incorrect. We Bundists have had revolutionary ideas that had never been Marxist or Anarchist, these very ideas are correct and they have been proven correct to this very day. The number one failing of Bundism is that aside from the revolutionary ideas that no Communist had ever even conceived of, Bundism has never developed a full theory, we have traditionally taken from Anarchism and Trotskyism in order to compensate for this. Trotskyism is false, Leon Trotsky is a proven liar, he in particular lied in his writings on the issue of Lenin's so-called Testament, originally he had told the papers that Eastman had lied then some years later endorsed the very same statements made by Eastman in his writings that he had previously denounced as false. I understand that what I am stating will be rejected by devout Trotskyists so I am going to present you with his criticism of Max Eastman that he wrote concerning "Lenin's So-Called Testament" on July of 1925 and then I will provide you his statement when he outright lied in September of 1928. Written on July 1st of 1925 Source and First Publication: Inprecorr, 3 September, 1925. In the following part of the telegram I protested against the insinuations alleging that I was turning toward bourgeois democracy and free trade. I afterwards received the book in question ( Since Lenin Died ) from Comrade Inkpin, secretary of the Communist Party of Great Britain, who at the same time sent me a letter to the same effect as Comrade Jackson’s telegram. I had no intention of reading Eastman’s book, much less of reacting to it, as I assumed that my telegram to Comrade Jackson, which was published everywhere by the British and foreign press, was entirely sufficient. But party comrades who had read the book expressed the opinion that since the author referred to conversations with me, my silence could be regarded as an indirect support of this book, which is directed entirely against our party. This placed me under the obligation to devote more attention to Eastman’s book, and above all to read it carefully through. On the basis of certain episodes in the inner life of our party, the discussions on democracy in the party and the state regulation of our economy, Eastman arrives at conclusions directed entirely against our party, which are likely, if given credence, to discredit the party as well as the Soviet government. We shall first deal with a question that is not only of historical importance, but of vital timeliness at the present moment: the Red Army. Eastman asserts that since changes have taken place among its leaders, the Red Army is divided, that it has lost its fighting capacity, etc. I do not know where Eastman got all this information. But its absurdity is obvious. At any rate, we would not advise the imperialist governments to base their calculations on Eastman’s revelations. Besides, he fails to observe that in thus characterizing the Red Army he is reviving the Menshevik myth of the Bonapartist character of our army, its resemblance to a Praetorian guard. For it is plain that an army capable of “splitting” because its leader is changed is neither proletarian nor communist, but Bonapartist and Praetorian. In the course of the book the writer quotes a large number of documents, and refers to episodes which he has heard secondhand or even more indirectly. This little book thus contains a considerable number of obviously erroneous and incorrect assertions. We shall only deal with the more important of these. Eastman asserts in several places that the Central Committee has “concealed” from the party a large number of documents of extraordinary importance, written by Lenin during the last period of his life. (The documents in question are letters on the national question, the famous “Testament,” etc.) This is pure slander against the Central Committee of our party. Eastman’s words convey the impression that Lenin wrote these letters, which are of an advisory character and deal with the inner-party organization, with the intention of having them published. This is not at all in accordance with the facts. Eastman’s assertion that the Central Committee was anxious to conceal (that is, not to publish) Comrade Lenin’s article on the Workers and Peasants Inspection is equally untrue. The differences of opinion arising on this subject within the Central Committee - if it is possible to speak of “differences of opinion” at all in this case - were of a purely secondary significance, dealing solely with the question of whether or not the publication of Lenin’s article should be accompanied by a statement from the Central Committee pointing out that there was no occasion to fear a split. Not only is my signature affixed to this document along with the other signatures, but the text itself was drawn up by me (January 27, 1923). In view of the fact that this letter, expressing the unanimous opinion of the Central Committee on Comrade Lenin’s proposal with regard to the Workers and Peasants Inspection, also bears the signature of Comrade Kuibyshev, we have here a refutation of Eastman’s assertion that Comrade Kuibyshev was placed at the head of the Workers and Peasants Inspection as an “opponent” of Lenin’s plan of organization. Eastman’s quotation from the wording of the “Testament” is equally wrong. This was published in the Sotsialistichesky Vestnik and was stolen from the party archives, so to speak, by counterrevolutionists. In reality the wording as published in the Vestnik passed through many hands before its appearance in this paper. It was “freshened up” again and again, and distorted to such an extent that it is absolutely impossible to restore its original meaning. It is possible that the alterations were made by the editorial staff of this paper. Eastman’s assertions that the Central Committee confiscated my pamphlets and articles in 1923 or 1924, or at any other time or by any other means has prevented their publication, are untrue, and are based on fantastic rumors. Eastman is again wrong in asserting that Comrade Lenin offered me the post of chairman of the Council of People’s Commissars, and of the Council of Labor and Defense. I hear of this for the first time from Eastman’s book. An attentive perusal of Eastman’s book would doubtless give me the opportunity of pointing out a number of other inaccuracies, errors, and misrepresentations. I do not, however, think that it would be of interest to go further. The bourgeois press, especially the Menshevik press, makes use of Eastman’s statements, quotes from his reminiscences, in order to emphasize his “close relations,” his “friendship” with me (as my biographer) and by such indirect means attaching an importance to his conclusions which they do not and cannot have. I must therefore devote a few remarks to this matter. The character of my real relations with Eastman is perhaps best shown by a business letter written by me at a time before there was any thought of Eastman’s book Since Lenin Died . During my stay in Sukhum I received from one of my Moscow friends, a publisher of my books, the manuscript of a book by ... M. Eastman, entitled Leon Trotsky: Portrait of a Youth . My collaborator informed me in his accompanying letter that the manuscript, which had been sent to the State Publishing Office by the writer for the purpose of being published in the Russian language, had made a strange and unusual impression among us on account of the sentimentality permeating it. I replied as follows in my letter of April 3, 1925: “Even without being familiar with the contents of Eastman’s manuscript, I am perfectly in agreement with you that the publication of the book is inopportune. Although you have been kind enough to send me the manuscript, I cannot read it. I have absolutely no inclination to do so. I readily believe that it does not suit our taste, especially our Russian and communist taste. I repeat that the subject of this letter was a biographical sketch, the story of my youth up to about 1902. But the tone of my letter leaves no room for doubt on the nature of my relations with Eastman, relations which differ in no way from those maintained by me with other foreign communists or “sympathizers” who have turned to me for help in understanding the October Revolution, our party, and the Soviet state - there can be no question of anything more. Eastman sneers with vulgar aplomb at my “Quixotism” in my relations with the comrades of the Central Committee, of whom I have spoken in friendly terms even in the midst of the most embittered discussion. Eastman seems to think himself called upon to correct my “error,” and he characterizes the leading comrades of our party in a manner which cannot be designated as anything else but slanderous. We see from the above that Eastman has attempted to erect his construction on completely rotten foundations. He seizes upon isolated incidents occurring within our party in the course of some discussion, in order, by distorting the meaning of the facts and exaggerating the relations in a ridiculous manner, to slander our party and undermine confidence in it. It seems to me, however, that the attentive and thoughtful reader will not require an examination of the assertions made by Eastman and his documents (for which not everyone has the opportunity) but that it suffices to ask: If we assume that the malicious character of our leading party comrades alleged by Eastman is even partly correct, how is it possible that this party should have emerged from long years of illegal struggle? How could it stand at the head of millions of human beings, carry through the greatest revolution in history, and contribute to the formation of revolutionary parties in other countries? There is no sincere worker who will believe in the picture painted by Eastman. It contains within itself its own refutation. Whatever Eastman’s intentions may be, this botched piece of work is none the less objectively a tool of the counterrevolution, and can only serve the ends of the enemies incarnate of communism and of the revolution. This is very interesting, the only thing more interesting is what Leon Trotsky then writes later on in flat out contradiction to what he said previously. I do not claim that Leon Trotsky was helping to undermine Socialism, but at the very same time I can understand why so many believe that. I would like to thank Hannah Toff for opening my eyes to this, she really cares about us not discrediting ourselves. Written on September 11th, 1928 First Published: New International, Vol.1 No.4, November 1934. pp.125-126. We in the Bundist Movement consider the past relationship that the old Jewish Labour Bund had to Leon Trotsky and to Trotskyism to be a complete embarrassment to us, and we are frustrated by how much we are finding ourselves agreeing with the positions of Joseph Stalin who by the way hated the Jewish Labour Bund, and the only real reason why Comrade Stalin hated us was because Comrade Lenin hated us otherwise with all of the understanding that Stalin had about National minorities he may have himself been Pro Bund, but it is known that Stalin's very mind was Lenin's mind and that his very mind was crafted by Vladimir Lenin. 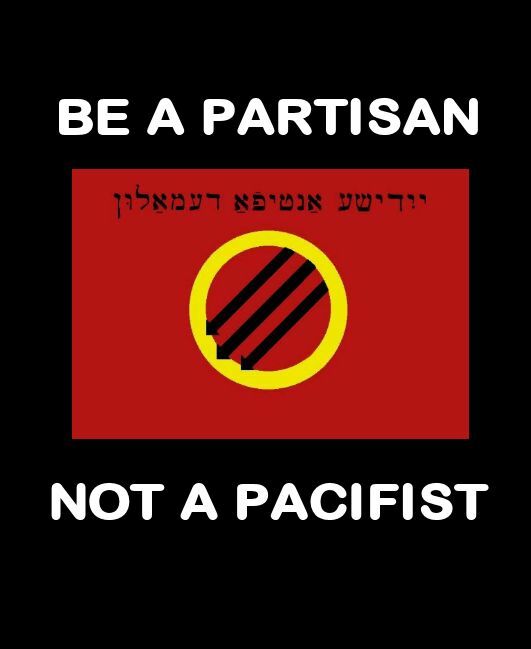 The Jewish Bundist Diaspora Movement is directly linked back to the old Jewish Labour Bund, we are embarrassed not only by the old Jewish Bund's involvement with Trotskyism but we are embarrassed by how close the old Jewish Bund was with Anarchists of several stripes. We do not attack Trotskyists or Anarchists who wish to work with us, the more sincere any Trotskyist or Anarchist is the better too, but we have become very serious about Theory lately. Yet to make things even more frustrating, every single member of the Bundist Movement agrees with the Permanent Revolution theory by Leon Trotsky, we all see the validity of the Permanent Revolution theory. During the time that I had moved to Lebanon I did not become a citizen, I almost did but I became disillusioned with my community. I became Jewish Ultra-Orthodox in Lebanon, it was the lack of politics in this Jewish Ultra-Orthodox sect that finally disillusioned me from them. When I joined this community of Ultra-Orthodox Jewry I did so knowing that they had a reputation for being even more Anti Zionist than Neturei Karta. I later became a Classical Marxist, yet I was made to feel dirty for having a religion. I could not let go of Socialism, Socialism is the only moral economic position. I started off as a basic Marxist, then I became a Classical Marxist and then I became a basic Leninist. For me at that time and even up till today I would say that every genuine Marxist would have to agree with Lenin, otherwise that Marxist would have to be a First Worldist Eurocentric fraud. Classical Marxists do not follow the logic of Karl Marx nor do they fallow the logic of Marxism to the obvious conclusions. Within Marxism the logical conclusion is Vladimir Lenin. I never decided on Trotsky verses Stalin, instead I went back and forth from Trotskyism to Marxism-Leninism then back to Trotskyism for a while then back to Marxism-Leninism. Back then Trotskyism seemed like the fusing of Classical Marxism and Leninism, and today I have concluded that I was correct to think so then. From what I saw in Lebanon Marxist-Leninists (Stalinists) never could embrace religion, although they had always been mildly tolerant of religion. I could not ever stay Marxist-Leninist because both Marxism-Leninism (Stalinism) and Marxism-Leninism-Maoism (Maoism) to me at that that time represented fettered-Marxism in the same way that Welfare and Protectionism represents fettered-Capitalism. I was a Leninist for only four months I confess. I went Anarchist for two years before washing my hands of Communist theory. To this day it seems that Anarchists do not care about Indigenous Rights. Anarchists have always been very bigoted towards religion of any kind. 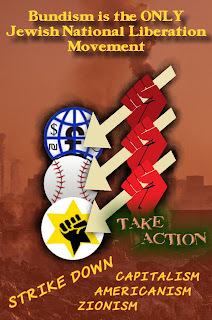 Anarchists are good at understanding the dangers of Statehood, they are at their best when showing dissent and speaking truth to power, the issue with Anarchists is that they can not bring forward a proper dissolving of the State. The Anarchists reject Nationality because they do not understand what a Nation actually is, Nations existed long before the invention of Nationalism which fuses Nation with State. There have been Anarchists that make a distinction between Nation and State yet Anarchism lacks any realization of how every State is a Country, while on that note not every Country is a State. Marxists of all strands are annoying because they except the Nation-State despite that Lenin, Stalin, and Mao would quite often question this logic, but not enough so we can't be to angry at this. 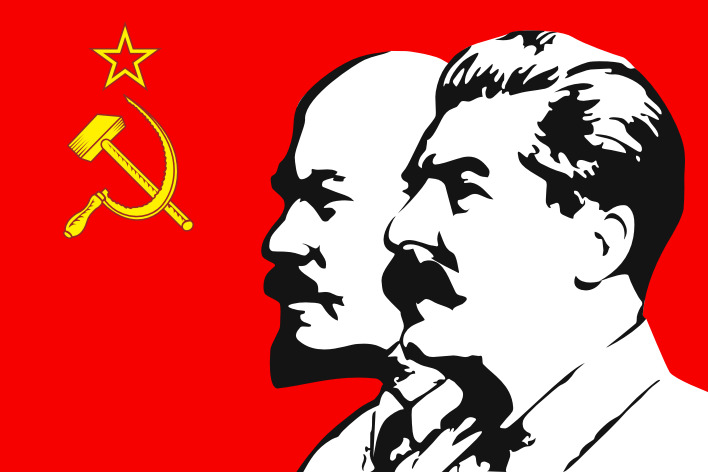 I now find that the further developing of Bundist theory will have to require adopting large parts of Marxism-Leninism to fill in the gaps we find in Bundism, we will not be getting rid of a single part of Bundism rather we are going to include Marxist-Leninist theory into Bundism while rejecting the errors found in all Communist theory. We as Bundists replace the Nationalist disorder of Self-determination with the correction of Auto-determination. And while we reject both Trotskyism and Anarchism we except Leon Trotsky's theory of Permanent Revolution and we embrace the Syndicalist organizing of Unions as described by Emma Goldman. With no influence from Marxists or Anarchists we Bundists aim for Direct Democracy, we however due to the nature of COINTELPRO will only push for localized Direct Democracy and State-federalized Democratic Centralism to protect the Revolution. Whether we call it Communism, Jamahiriya, or Anarchy the endgame for the World must be Direct Democracy. Everyone of us takes large parts of Maoist Third Worldist theory into play before we reach Permanent Revolution theory. We know with genuine understanding our aims, the basis of both Doikeit and National-Cultural Autonomy are fundamental to Bundism, the concept of Auto-determination is fundamental to Bundism, not one part of Bundism has left us since we started adopting more and more of a Marxist-Leninist theory to add on to the Bundist theory. On the contrary the more Marxist-Leninist theory we adopt, the stronger the fundamentals of Bundism get for all of us. This is also why our biggest problem will be Non-Jewish Marxist-Leninists as both Lenin and Stalin had no genuine knowledge of what the Jewish Labour Bund stood for, but we are confident that the truly non-dogmatic Marxist-Leninists will see things our way as the only reason they would even have to reject us would be blind acceptance to Lenin and Stalin as if these Men could not have errors in their own logic. 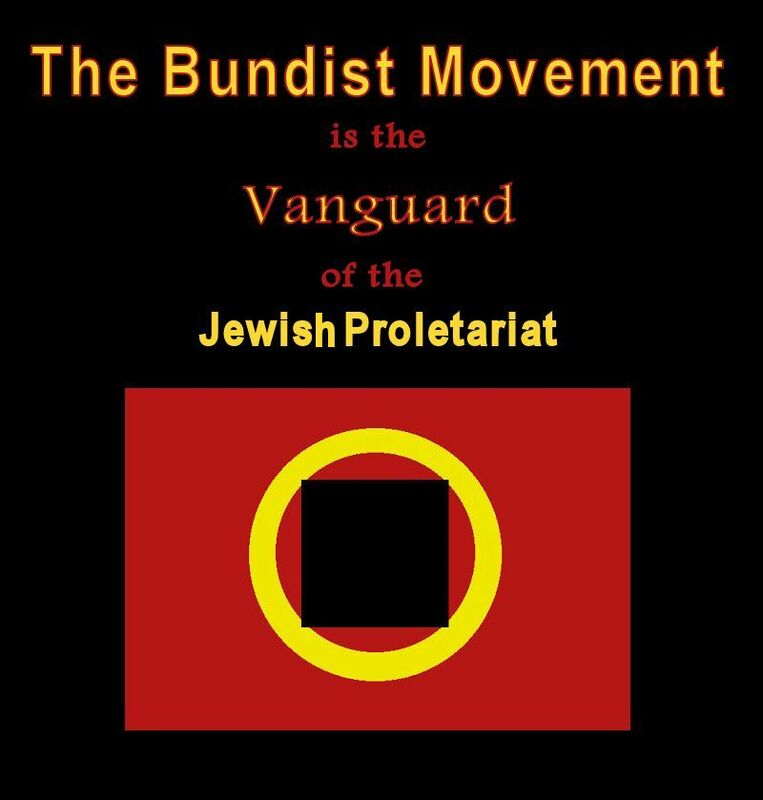 The Bundist Movement is the Vanguard of the Jewish Proletariat and we need to continue to correct our historical mistakes too. We have nothing to fear in this because we consistently get proven correct on all of our fundamentals especially National-Cultural Autonomy. We must except the fact that we are the Vanguard of the Jewish Proletariat or all of the Bundist-sectarians will continue to slander the Jewish Ultra-Orthodox and take up the failing nonviolent strategies which had never been Bundist to begin with, and because of the reasons that I have mentioned this puts Bundism in danger and thus this puts the entire Jewish Nation in danger, only the Jewish Bund can save us. as of now we make a retraction to that article, and we now produce a corrected version of the article. 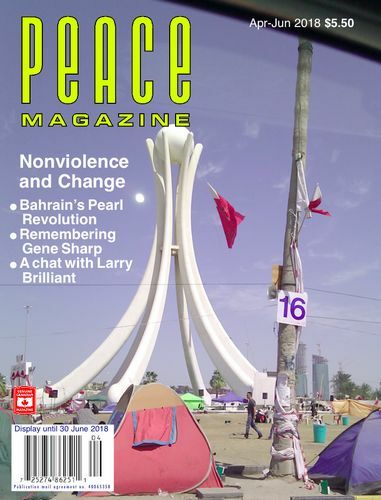 Pan-Arabism historically has been proven to be the most toxic strand of Pan-Nationalism. Pan-Africanism, Pan-Asianism and even Pan-Europeanism in the context of anti-Eurocentric/anti-Imperialism is perfectly justified. Pan-Arabism is really just the same thing as Pan-Mideastern Nationalism which is nothing more or less than controlled opposition by Western Imperialism in fact the Pan-Turkic Nationalists in world War I belong to this camp of reactionaries. The Middle East is really the Western Orient, this would not include Pakistan, Afghanistan, Bangladesh, or Russia but the Western Orient clearly must have included into it Georgia, Turkey, and Armenia as well as North Africa which includes Ethiopia, Morocco and Libya. The Western Orient is where Africa, Asia, and Europe meet and Pan-Arabism is a controlled opposition over this. Pan-Arabism is a mild-manifestation of fascism, this is self evident in The Ba'th Party. World Revolution is dependent on Socialism. Not every Socialist agrees with the notion that Socialism goes into Communism, some of us prefer Jamahiriya. As for the Communists they fall into two categories that being obviously the Marxists and the Anarchists, the Anarchist context of Full Communism is the same thing as Anarchy, as for the Marxist definition of Full Communism this depends on which Marxist strand defines Communism. Gaddafi reached the first stages of Jamahiriya and because of the Imperialist attacks made on his Country he never got to the final stages of Jamahiriya which would have been complete Direct Democracy. Gaddafi became reactionary and this downward spiral would lead to his inhumane assassination and murder of his life, if he would have never given up his Nuclear capability and had a much more Centralized Revolution with a well planned out goal for Direct Democracy then Full Jamahiriya could be taking over the Planet right now, but instead Imperialism is everywhere, Democratic Republics with strict Proletariat Vanguards lead to Direct Democracy because overly decentralized Liberal Democracies destroy Democracies because of infiltration, reactionaries, and sabotage. Communism in the Classical Marxist definition is a front against organic Nations, it is a Hegelian deception. Mutualists have no debate or rationality as they are only underdeveloped Anarchists and nothing more, even if their theories had potential in the past they do not in the present and they never will in the future. Anyone claiming Bundism is hardly a Bundist if he or she is opposed to Jamahiriya however it is time to admit that the Marxist-Leninist definition of Communism is compatible with Direct Democracy thus compatible with Jamahiriya. Muammar Mohammed Abu Minyar Gaddafi opposed political parties and we have done the same, but have we made a mistake? Muammar Mohammed Abu Minyar Gaddafi also opposed any Vanguard, even if it was not a political party. 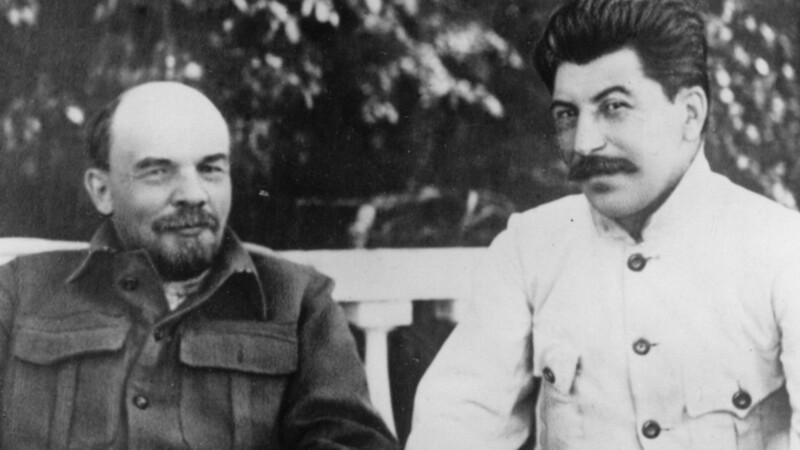 None of us have ever hated Joseph Stalin, yet we have all more or less been guilty of believing nasty lies against Joseph Stalin, in fact many Marxist-Leninists today believe some of the worst lies propagated against Joseph Stalin. The Jewish Bundist Diaspora Movement is the Vanguard of the Jewish Proletariat and it is time for us to stop acting as though we are not. The largest issue we Bundists have with both Lenin and Stalin is that they both had no clear understanding of the Jewish Labour Bund, that they saw the Bund as odious, separatist, and reactionary and they had been incorrect to think so. The very best Marxist-Leninists need to shy away from dogmatism and reconsider the Bund because the very truth that they fail to grasp is that the Bund is the only represent of the Jewish Nation. We will never have Revolution unless the People are educated. For the People to be educated we need to declare ourselves ANTIFA and denounce everyone else who claims to be ANTIFA because they are only making things worse. We are the Revolutionary Jewish Socialists, we Bundists had the strongest Jewish anti-Fascist presence in Europe, so real ANTIFA begins with us and only us. We will show that Fascism grew out as a byproduct of Capitalism, and thus we will start an argument with the Capitalists that the World will see, and Capitalists can not argue well against educated Socialists in debate because Capitalism is the primary cause of the World's problems. Only the Socialists who have their facts straight shall be allowed to debate Capitalists, ideally the Capitalists with the strongest argument are the ones we will need to debate. The Capitalists with the strongest argument will not wish to debate us because they already understand that they will loose any argument, so we will have to argue crazy insane Capitalists first, the Capitalists that are stupid enough to believe in debunked notions like perfect competition and stateless free markets will happily debate us because they believe in their fictions, we will destroy anything they put forward because every economist knows how wrong they are. After this embarrasses the smart Capitalists they will have no choice but to debate us, we will win and they will loose inevitably. After we win this debate, we will start to teach all the disenfranchised Proletariat to strike down Capitalism, then Americanism, then Zionism. We will not be nice to Fascists, such an idea as being kind and humane to them is insanity and a liberal position. 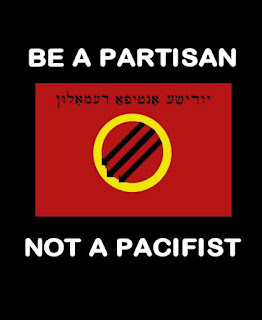 The Jewish Bundist Diaspora Movement is the Vanguard of the Jewish Proletariat, for other Vanguards to exist we need to get education correct and away from profit driven populism, only The Truth safeguards Democracy and this is because Democracy can only work if the People are educated. The ANTIFA Vanguard of Education of the Jewish Bundist Diaspora Movement is Authoritarian not Totalitarian, it should not be confused with the Vanguard of the Jewish Proletariat which is the Jewish Bundist Diaspora Movement it self. The ANTIFA Vanguard of Education of the Jewish Bundist Diaspora Movement must be started by a Bundist that we approve of. The ANTIFA Vanguard of Education of the Bundist Movement must have the aim of educating both those Jewish and Non-Jewish. In the Revolutionary Socialist dialogue the argument must be kept alive, yet not everyone actually has an argument. It is self evident that Americanists, Zionists, Feudalists, and Fascists have no argument. Even the Capitalists have a argument, they have the weakest of arguments yet they none the less have an argument. Both the Marxists unless they are Classical Marxists and the Anarchists unless they are Mutualists have arguments that are worth hearing. The Classical Marxists and the Mutualists are Counter-Revolutionary and they are not allowed into debate, the Classical Marxists are eurocentric and the Mutualists are out of touch with reality and always will be. Americanists have no argument and from the time of George W. Bush to the time of Barack Obama they had stopped pretending that they have one, yet with the coming of Donald Trump and the increase in membership of the Church of Jesus Christ of Latter Day Saints it seems that Americanists are back to their old tricks again. Zionists have no argument, Zionists have no secular argument, no religious argument, no social argument, no cultural argument, this is because every version of Zionism is based on deception, some say that the religious–Zionists have the highest level of contradiction in terms as it is again self-evident that Zionism and Judaism have no compatibility, many say that the labour–Zionists the highest level of contradiction in terms because of the clear non compatible nature of Zionism verses Socialism, yet the truth is that anarcho–Zionism and diaspora–Zionism are the forms of Zionism that hold up as the versions of Zionism that are the highest level of contradiction in terms because they both promote blunt barbarism. 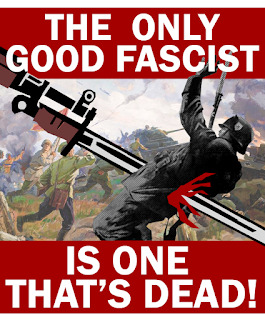 Fascists have no argument yet they will pretend that they do by using Socialist rhetoric. 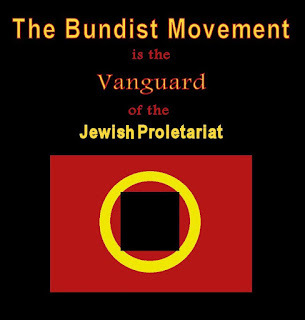 With all of this information placed in proper context, it is the will of The Bundist Movement that a ANTIFA Vanguard of Education is to be built as a cultural and social form of resistance, safeguarding Socialism and a discussion to promote COINTELPRO Awareness among all True Revolutionaries both Jewish and Non-Jewish. 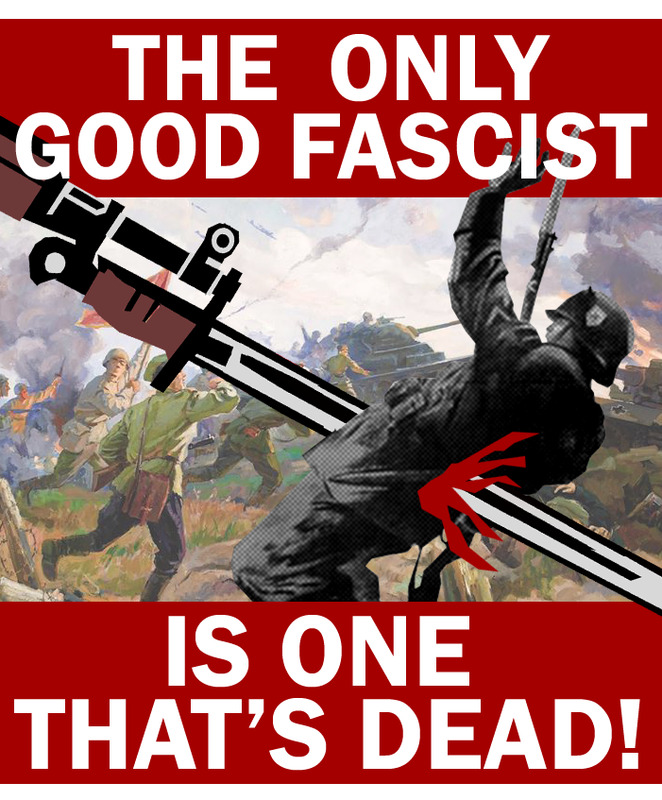 We can not fight Fascism by trusting in the police or covert agencies such as the N.S.A, the F.B.I, or the C.I.A nor any type of electoral process in the United States of America. Yet political parties are of use if they are correct and willing to be armed for reasons of legal deterrence against the police if we ever won an election and they refused to put the person we elected in after that person has won, yet a Vanguard of Education would not be a political party as that would not be the function for a Vanguard of Education. Democracy works, yet Democracy only works when the people are properly educated, this is why Democratic Centralism is the only way to get to Direct Democracy. Yet in order for education to prevail the Americanists, Zionists, Feudalists, and Fascists must be blocked from discussion. Liberty should never mean that a individual or collective should have the right to oppress another individual or collective, thus we can not allow Imperialist Capitalists to have any voting after we have crushed them in debate. And so the Bundist Movement openly proclaims a that the Revolution requires a ANTIFA Vanguard of Education. So it begins for me . . .
By: Hannah Toff, Councilwoman of Strategic Projects. "You are betraying the Revolution"
"Why don't you just take down the Red Banner and replace it with the Hammer and Sickle"
The issue we need to confront in ourselves is dogmatism, for we should all know that dogmatism is a most unscientific approach to all methods that can be called socialism. I myself have been criticized for my stances against feminism, anarchism, and social democracy. Clearly no one remembers that I used to be the founder and Chairwoman of the Arizona Progressive Social Democratic Club, in those days I was a feminist too. Does anyone even remember that it was also me who had actually dissolved the very Arizona Progressive Social Democratic Club that I had started? I discovered anarchism, I put anarchism into three camps, Jewish anarchism, which I never liked at all, Mutualism an ideology I devoutly hate, and Libertarian socialism. I was a Libertarian socialist, Libertarian socialism can be anarcho Syndicalist, anarcho Collectivist, or anarcho Communist. Sometimes anarcho Communists and anarcho Syndicalists are the same thing, except in Arizona because out here the anarcho Syndicalists and anarcho Communists don't really get along. I was an anarcha-femenist this typically would be simply the female wing of anarcho Communism. Out here in Arizona the center of mass contradictions Women are heavily exploited, yet it is the Men of Arizona who are heavily oppressed. Men in Arizona are targets in many ways, especially in matters of child custody. I was an anarchist, I saw any form of hierarchy as unjustified and I even associated leadership as oppressive. In time I saw Women oppressing Men, full bigotry against religious poetry, and even total disregard of parent to child relationships all in the circles of Libertarian socialism and this would effect me very deeply. I still have Libertarian socialist friends, but I will never agree with any form of anarchism, it is a very ineffective system. I researched the Spanish Revolution of 1936 rather religiously and I never found evidence for Direct Democracy in anarchist Spain. Today as a Bundist I am extremely grateful to anarchists for their history of solidarity with the Jewish Bund. What can not be emphasized enough is that I'm egalitarian now, I find feminism to be reactionary, I don't deny the achievements of Classical feminism, rather I'm offended with the origins of feminism, I am disturbed by the very fact that White feminism is the first version of feminism, I'm disturbed by the false claims feminists make against groups like the Navajo who historically have always been egalitarian. I was raised as Jewish Modern Orthodox by my single mother, I remember feeling strange about the Jewish Ultra-Orthodox who correctly condemned Zionism but had been much to strong in Social Patriarchy, I ended my days with Orthodox Judaism when I became a feminist, and the hypocritical notions of centrist politics is why I stopped being a Progressive Social Democrat, I was promised by Comrade Net that both dearest Weizfeld and Newman would not be able to expel me for writing down my true thoughts, so this is what I'm doing. Growing up Jewish Modern Orthodox was not oppressive to me in anyway, but what made me cringe was the alliance that Modern Orthodox Judaism has developed with Zionism, I was always against Zionism, and I used to yell at my mother for hours over the issue, part of why I stopped my centrist position was because of my distrust to all the Zionists who kept trying to co-opt me. Bundists favor the system of Jamahiriya over full communism, but let us be truthful, Total Jamahiriya, Direct Democracy, Anarchy, the Messianic Age, and Full Communism are all the same thing, we need to be more concerned with socialism before we debate what to call the next stage of Humanity after World Socialist Victory has been achieved. Let me explain, I start with mentioning as we further develop Bundism we see that we maintain much of the former character of Bundism, we all believe in National-Cultural Autonomy, we all aim for Direct Democracy, we all are against Zionism, we all are opposed to Hegel's notion of the Nation-State. Bundism is in need of further development though, Weizfeld has contributed by introducing the revolutionary idea of Auto-determination instead of the failed interests of self-determination. and I ask, how do we safeguard ourselves from Fascist, Zionist, and Americanist infiltrators without Democratic Centralism? How will we ever achieve Direct Democracy without stripping Fascists, Capitalists, Feudalists, Zionists, and Americanists of Civic Power? In the United States of America, the Proletariat is not the White Working Class, it is the Indigenous Natives, the Black People, the Muslims, the disenfranchised Catholic groups, and the Jewish anti-Zionist population. I had joined the only Jewish Conservative Synagogue in Phoenix Arizona that was completely anti-Zionist and I recall how my Libertarian socialist friends did not care that the Police refused to file a report in 2012 when that Shul was burned down to the ground by the JDL, meeting Net was liberating and he never tried to shut me up, he was openly honest about everything, I did not censor myself then, and I'm not going to censor myself now. I'm first a Bundist, but I think I'm a Marxist-Leninist too. And the projects of strategy that I'm developing are Marxist-Leninist in nature. Marxism-Leninism has different currents and Maoist thought is a strand of Marxist-Leninist teaching, we all have adopted some parts of Maoist thought, and we all study the importance of the Black Panther Party a organization that was Maoist. Even though the Black Panther Party had members that were clearly not Maoist, the organization was Maoist hence it was Marxist-Leninist. The Black Panther Party was without a doubt practicing National-Cultural Autonomy, so I stand on that when I declare my self a Marxist-Leninist, plus I suspect Net of having Marxist-Leninist-Maoist ideas running around in that mystical brain of his. This all being said, I don't support Bernie Sanders, and it is not just because he is not trusted by Marxists and anarchists. It is only Weizfeld and Newman who support Bernie Sanders, and they seem to do this for different reasons, Net Ben-Yahushua on the other hand remains mostly silent on this, but the rest of us just don't trust Bernie Sanders an obvious Progressive Social Democrat, as someone who used to be a Progressive Social Democrat I see the issues with this man. Anyone can say I am a foolish woman, anyone can say that I'm just young, and that I will learn, of course I'm 30 now and I wonder if I will still be told that pathetic line when I'm 40, anyone can say whatever they want, but I find terrifying inconsistencies with Bernie Sanders and I testify on the dangers of Social Democracy and Centrist politics in America. 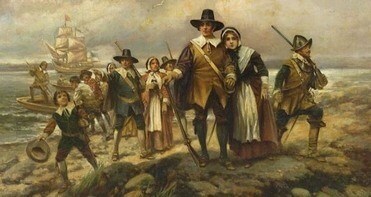 Most of the Americanists would have you believe the first Thanksgiving was a religious occasion.The truth is a bit more disturbing, as Thanksgiving was a three day hoedown involving gambling and target shootings.This shooting event was intended to remind the Natives that Puritans were armed and dangerous. Many ask the question; "Was the ‘first Thanksgiving’ merely a pretext for bloodshed, enslavement, and displacement that would follow in later decades?" The answer to this question is a very blunt; "Yes, of course." Ironically it is the Texans that make the claim that the first Thanksgiving actually took place in little San Elizario, I have no clue as to whether this is true or not, Texan history it self is actually some of the most unreliable of sources. 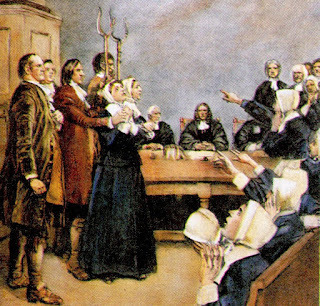 What did the Pilgrims eat at their Thanksgiving festival? The Puritans didn't have cranberry sauce, corn on the cob, pumpkin pie, and it is not even known if they had turkey, although it is possible. The only food known for sure to have been consumed was deer. The only feelings anyone should have for Thanksgiving is shame. Palestine lives indeed, despite uneven development and harassment, both petty and significant, from Israel’s instruments of state power. 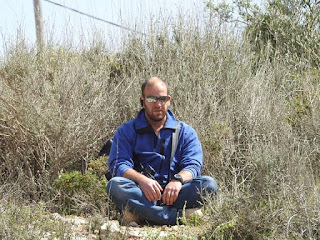 Abraham Weizfeld writes from Nablus in the West Bank. Imagine being Jewish and landing in Tel Aviv airport to be presented with a one-month visa even though having been approved for an extended stay work visa for three years issued by the Montréal Israel Consulate, on the recommendation of the Jewish Agency. The Jewish Agency is obviously in contradiction with the political perspective of Israel’s Immigration and Population Authority. One encourages Jewish people to join in, and the other is freaked out by Jewish dissidents who, it would seem, are now a major threat to the security of the State. The Jewish Voice for Peace which is banned as an organisation now indicates that the Boycott, Disinvestment and Sanctions (BDS) international movement is considered more of a threat than the Palestine Liberation Organization (PLO). Coincidentally, that border Authority is the one seeking to transfer the African refugee population out of the State. Meanwhile in Nablus, Palestine my welcome is universal and full of ‘knafah’. Everyone should have a taste of this additive cheese-laden and honey lasagne. After only one day we are on a demonstration at the check-point entry to Hawarah where carrying a Palestine flag is another major threat punished by gas grenades, sound bombs and the occasional rubber bullet and live ammunition as well. No time for jet lag in Palestine these days. Being Jewish in Nablus is a major feature of conversation, English lessons and of course more ‘knafah’ and Arabic coffee ‘ka’awah’. Note here one must add two and a half heaping soup-spoonfuls to boil in the coffee pot otherwise you risk disappointing the consumers. Nablus is Nablus and the days are filled with the prayer chants from the minarets rebounding between the mountains on either side, as well as the weapons fire in the evening to finish off the day. The regular Palestine police are active in the old city and the refugee camps busy hounding the local gangs, armed clans and the opposing political factions. The Preventive Security Police set up by the Oslo Accords to end the Intifada revolts, are still actively seeking out the militants. 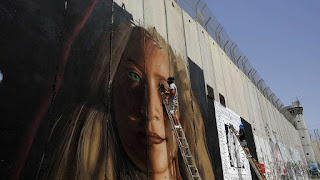 This collaboration continues in spite of the warnings from the Palestine Authority President Mahmoud Abbas that such service for the State of Israel would end if the USA’s aid would be cut off to the Palestinian refugee population internationally, numbering more than five million. Also, there are Israel’s F-16s coming around for practice flights overhead and incidentally seeking to intimidate the population. As far as the US State Department is concerned though, it is more likely to be met with splattered eggs than a welcoming embrace. The self-induced illusion in US President’s ‘Big Deal’ has evaporated and Russia is being courted as the patron saint, as well as China. 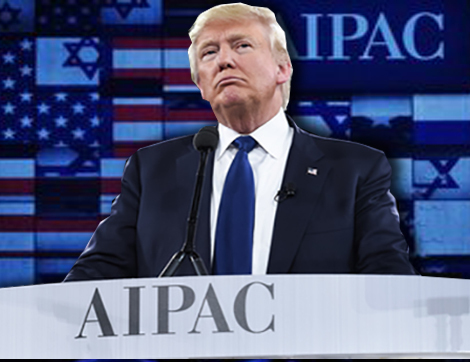 The Trump declaration recognising Jerusalem as the capital of the Zionist State and the US Vice-President’s proclamation to build a de facto Crusader castle in Jerusalem to be the US Embassy gives rise to the expression, ‘you’ve got to be kidding’. 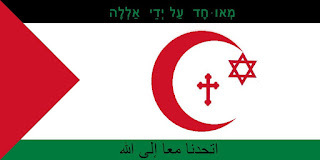 Coinciding with the 100th anniversary of British General Allenby’s affirmation at his entry to Jerusalem in 1917 on the completion of the Crusades, this is nothing but an incitement to a Jihad against the Occidental Christian States continuing incursions into the western Orient since 1991. 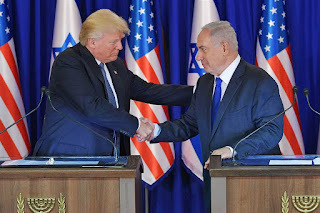 The lack of any balance in the treatment of the mutual claims to the same Land by Israel and Palestine, exemplified by the US failure to recognise Palestine as an independent State, is not only a failure by the current administration but by all preceding Presidencies as well. The current ‘Big Deal’ amounts to transferring the occupation of the West Bank to the Jordanian Hashemite Kingdom together with the transfer of the Gaza Strip to Egyptian control. On the way over from Montréal, the Christian crusader sitting next to me from Texas and his gang of pilgrims are solidly convinced that they are on their way to Israel even though they do not yet know that Bethlehem is in the Palestinian occupied territories. 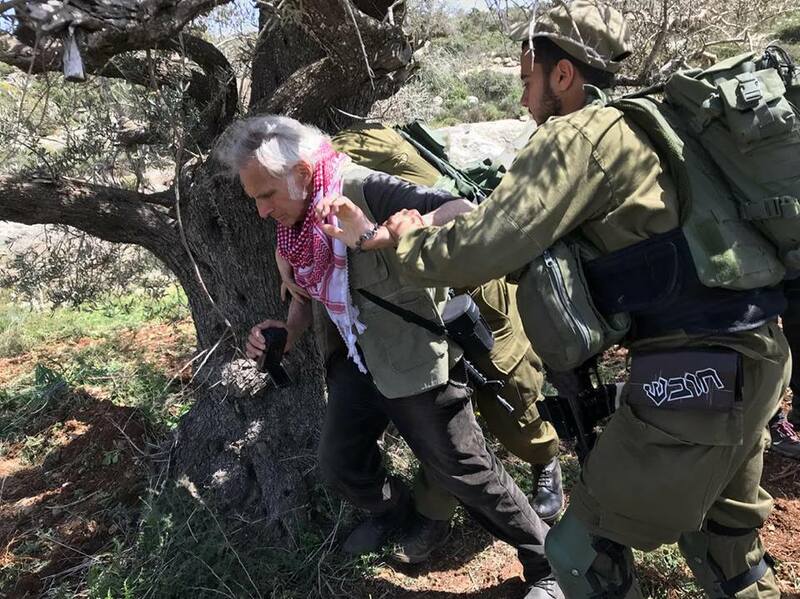 This Vietnam veteran is sure as hell that the 16-year-old Ahed Tamimi must stay in prison for having slapped the poor innocent soldier. He was coming to take over her home, just after her cousin had his skull smashed up by a rubber projectile for having peeped over a wall, as well as her mother being slapped by a soldier much larger than herself. At the same time, 66% of the Israeli Jewish public agrees to coexistence, even while the government continues to hang on like a cat at the edge of a precipice. 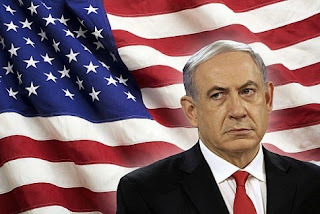 Israel’s Prime Minister Bibi Netanyahu has managed so far to hold on despite the police recommendations of corruption for receiving lavish gifts from sponsors not to mention the suppression of a major newspaper that was not supportive enough. His coalition maintains itself with a majority of 1 vote while the opposition fails to coalesce together with the Palestinian Joint List of 13 seats due to a self-defeating sense of national chauvinism. Many municipalities such as Acca, Yaffa-Tel Aviv, Jerusalem are already a mixed population and are rather peaceful to boot. The war on the Palestinian ‘enemy’ takes place in the occupied Palestinian Territories (oPT) and often by bombardments on the Gaza Strip. Meanwhile, Nablus appears to be a city living the 1950’s with antiquated facilities, not even any home postal delivery, even though each millennial youth usually has an I-phone and a FaceBook account. Nablus is an example of the historical ‘uneven and combined development’ factor. Nonetheless, the social order remains theocratic, and marriages depend upon the 30,000 shekels (NIS) needed for the dowry. The rampant youth unemployment is obviously not conducive to social stability. 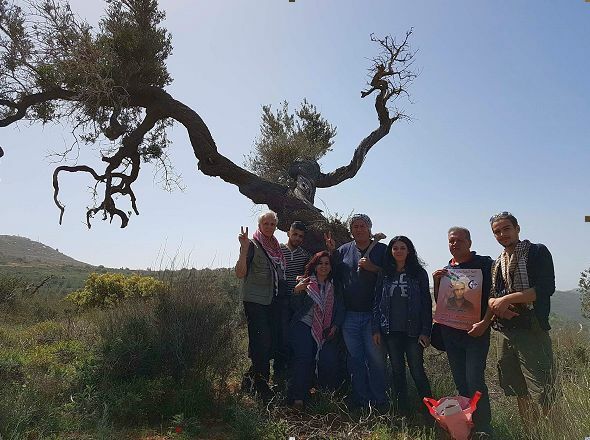 While Palestinian labour in Palestinian enterprises gives up 1,500 shekels a month, Palestinian workers in the 1948 State get paid 6000 shekels. The resulting dependence of the Palestinians upon the Israeli economy is endemic with 110,000 labour permits and 60,000 smuggled workers crossing the Apartheid Wall each day. And Israel’s economy is likewise dependent upon Palestinian labour. 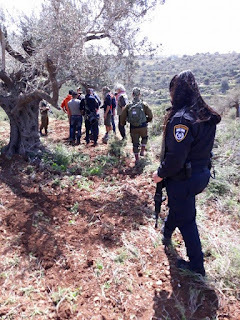 It is evident that the threat of violence to Jewish Israelis is blown out of proportion considering the presence of so many West Bankers circulating in the State of Israel in spite of the so-called ‘Security fence’. In any case, the lone individual attackers direct their kitchen knives against the most isolated soldier available. The Israeli population responds with an eagerness to ‘share the burden’ and conscript the religious who attend Torah-study classes in the Yeshivas of eastern Jerusalem in the Meah Shearim district of ancient construction. 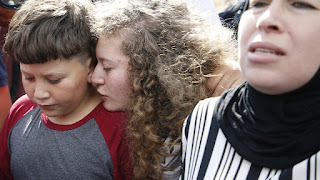 The ultra-Orthodox respond with militant civil resistance and occupy major intersections whenever a youth is imprisoned for not having registered with the draft. 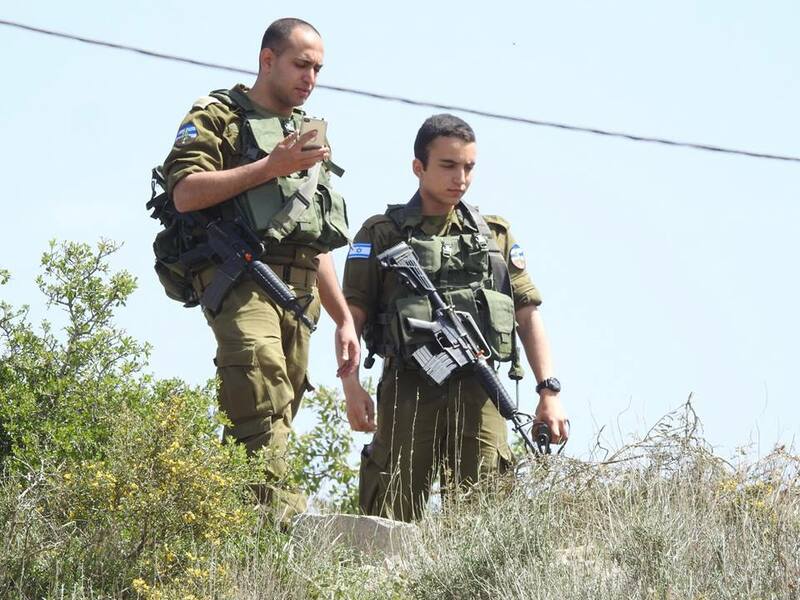 Ironically the Palestinian youth are not subject to military conscription and are more free from the State than the Israeli youth. 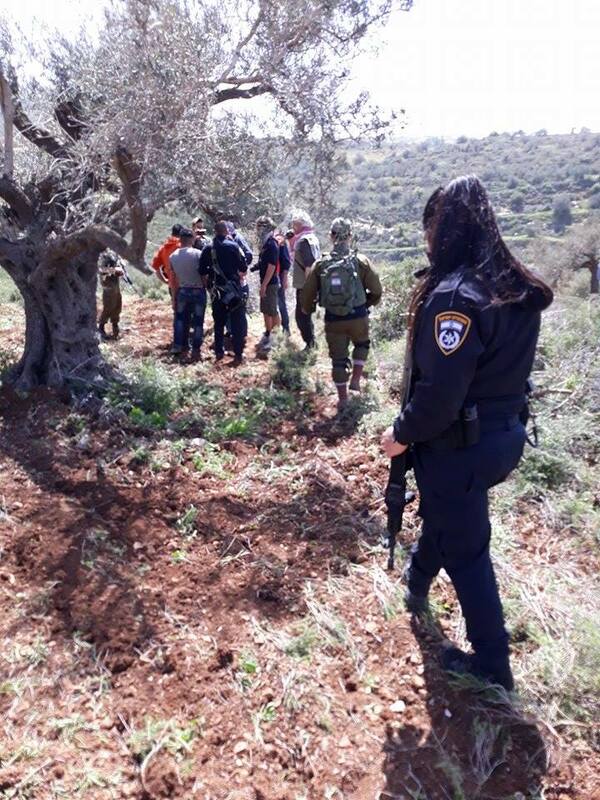 Resistance to the draft amongst the Israelis resorts to choosing National Service in the public sector rather than military engagement and even the refusal to register at all, thus landing in prison. Amongst the Palestinians of Nablus, many men have learned Hebrew in prison as if it were an educational institution. Most males that one meet have either been in prison for a number of years or have been shot or hit with those rubber or plastic covered bullets, including me. University educational institutions are packed with youth who are not subject to a military draft, with a majority of students being women, mostly topped off with hair-scarf ‘hijabs’. An-Najah University here has 45,000 students out of a municipal population of 500,000. Housing is an incredible accomplishment with ten-story apartment buildings popping up and over the top of the mountains. A political geographer could write a doctoral thesis case study here considering that construction is not permitted outside of the Sector A boundaries of this ghetto. Due to the municipal boundary limitations, the population is so compressed that people walking downtown must take to the street to avoid the sidewalks filled to capacity. While it is said that ‘What will be will be’, it is not at all certain what that will be.